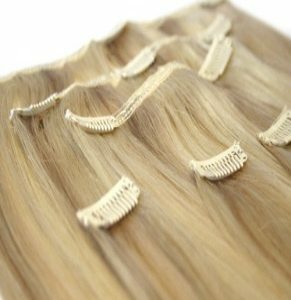 Our real clip in hair extensions are made with 100% human hair (unless specified otherwise), and attached to hair clips to give you the simplest and most authentic hair extensions possible. We stock a massive range of extensions at reasonable prices, helping you to get the best hair extensions. We’ve got: pink, blue, brown clip in hair extensions, and many, many more, all of them with synthetic, natural, and regional variants. If you’re looking for high quality hair extensions in the UK for cheap, you’ve found the right place!